It’s one step forward and two steps back for innovative iOS 8 Notification Center widgets. 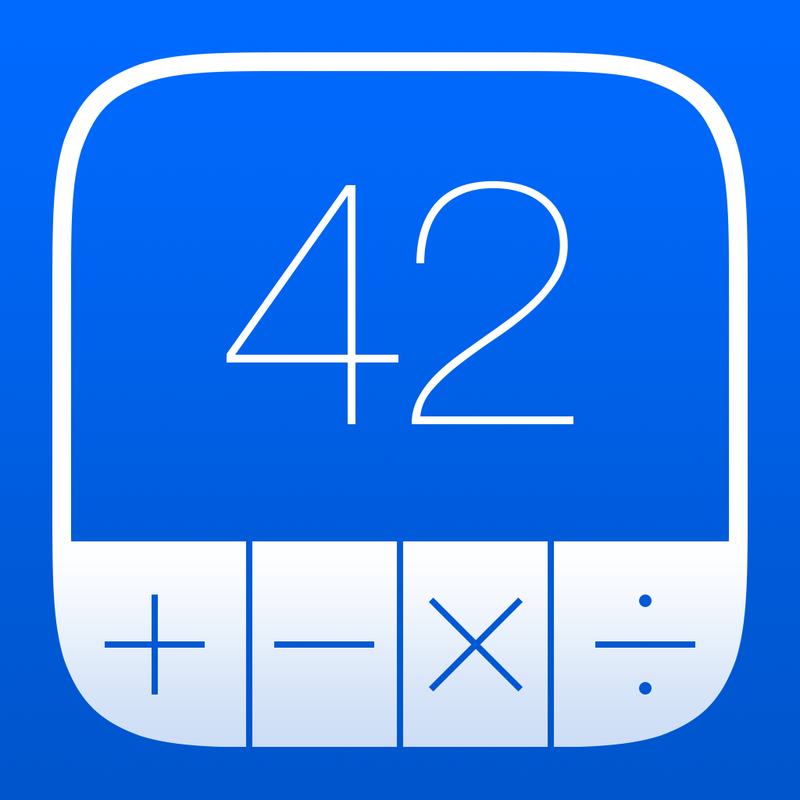 After Apple reversed course in late October and decided PCalc and other calculator widgets are acceptable, another handy app is in the crosshairs – Neato. Released a few weeks ago, the simple app allows users to quickly and easily enter a note and save it. It can then be sent to an Evernote account or a Dropbox folder. Users can also email the information, post the note to Twitter, or iMessage it. There’s a small keyboard on the widget that allows users to enter the information, but that seems to be the big issue for Apple. According to developer Mohammad Khoman, Apple contacted him last week to inform him that Neato doesn’t comply with one or more app review guidelines and that the keyboard needs to be removed. 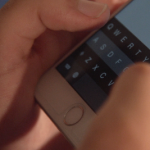 But as Khoman rightly noted in an email to AppAdvice, the widget would be useless without the keyboard. Currently, the free app is still available to download on the App Store. 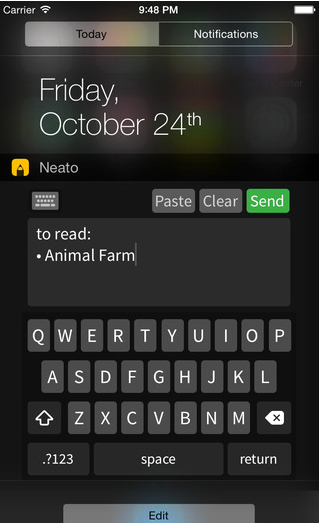 But Khoman told us that if an update isn’t submitted soon, Apple is planning to remove Neato from the store for good. There’s obviously a market for Neato. It’s been downloaded almost 200,000 times and reached the Top 10 in the Business category in a number of countries. Back in September, Apple also pulled another app featuring a Notification Center widget – Launcher. It allowed users to launch apps directly from the widget. Plain and simple, Apple needs to decide once and for all what developers can and can’t do with the widget functionality and make it clear in writing. This process of approving apps and then arbitrarily deciding they don’t comply with guidelines is ludicrous.